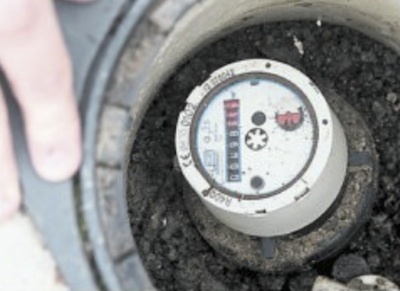 The Stormont parties have been embarrassed by reports that 35,000 water meters have been secretly installed at homes across the Six Counties at a cost of more than 13 million pounds. The agency involved, Northern Ireland Water, has said it had been “instructed to comply” with the water meter installation program by Stormont officials. Sinn Fein’s Stormont Ministers had vowed not to charge households for water. There are concerns that budget pressure from the British government could soon lead to household water charges being introduced in the North. The rest of Ireland has seen months of serious unrest and mass protests over plans to introduce charges there. In recent months, the Republican Network for Unity have highlighted their discovery of the water meter installation program in Belfast, as well as ominous letters to residents from NI Water requesting payment information. Tensions grew around the actions of NI Water workers, and in May a contractors’ lorry was set on fire in the Ardoyne area of north Belfast. At the time, the breakaway IRA group Oglaigh na hEireann said it would “not permit the installation of water meters”, and was intending to take further action. Belfast councillor Gerry Carroll, whose party People Before Profit has been involved in the south’s anti-water-charge campaign, said the scale of the installations revealed this week was “deeply disturbing”. “Stormont and NI Water need to come clean and end the deception,” he said. Labour TD Michael McCarthy accused Sinn Fein of “insulting” voters by overseeing the installation of water meters in the north while attending protests in the 26 Counties against meters. “It’s quite incredible that in Stormont Sinn Fein would quietly oversee the installation of 35,000 water meters and at the same time attend protests here in the south against the installation of water meters,” the West Cork representative said. In response, Sinn Fein said it would be supporting an amendment being introduced at Stormont to ban the installation of further meters. Sinn Fein TD and environment spokesman Brian Stanley said the revelations did not compromise the party’s opposition to water charges in the South. “Sinn Fein can only do what it can do at any point in time being in the power-sharing executive, and that situation changes - that is the game of politics,” he said. The party’s West Belfast MP Paul Maskey claimed Sinn Fein had in fact prevented water charges in the North. Republican Network for Unity said it had begun taking “direct action” to disable water meters in West Belfast, using cement to sabotage the installation boundary boxes, when it was reported the installations would be stopped. A promise by Stormont Minister Danny Kennedy to end the installation of meters was hailed by the RNU as “a victory for the working class people of the Six Counties”, but they said the campaign against water charges would continue. “We forced Stormont to capitulate on the installation of water meters, so we can certainly force them to capitulate on the introduction of water charges,” said RNU spokesperson Liam Morrison.